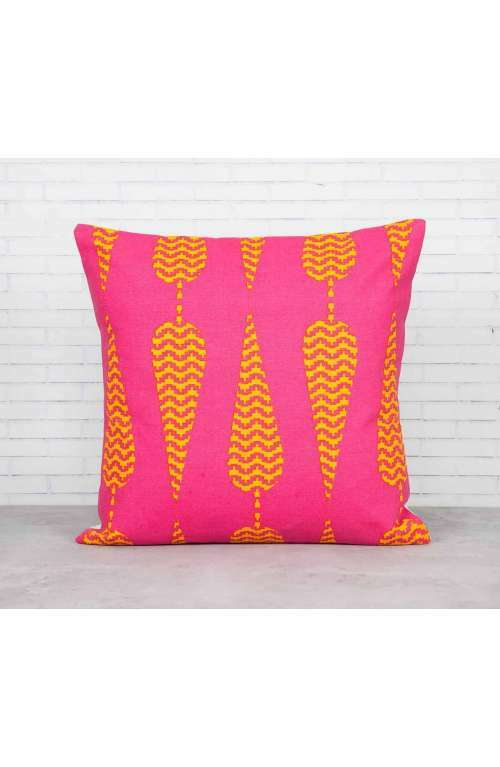 Go eco friendly with this pink and orange cotton cushion cover with gorgeous pine cone conifers printed all over. 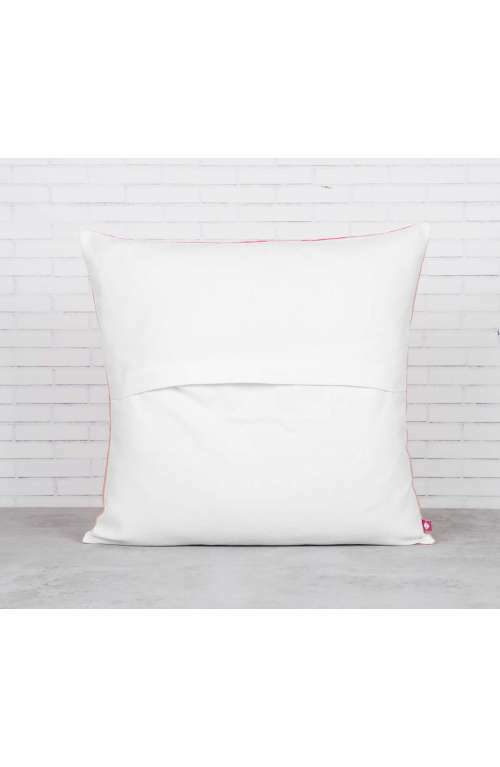 This cotton pink pillow cover is pefect to add a bit of texture and boho to your living space or bedroom. Add a touch of opulence and boho beauty to any room with this pink cushion cover made from 100% cotton fabric. With orange conifers dotting this pink boho cushion cover, you can turn a minimalist room into your personal zen space with this pink pillow cover. Cotton pillow covers are easy to clean and maintain, and you can add a bit of trendy geometric symphony to your couch as well.